Jagatsinghpur: In yet another case of pre-poll violence in the State, at least two BJP workers sustained critical injuries after being attacked by Congress workers during poll campaign in Kathasingipur village under Jagatsinghpur district last night. The injured duo has been identified as Pitabas Sahoo and Binod Kumar Sahoo of the same village. As per the report, the victim lotus party worker duo was taking part in an election campaign in the village and as a part of it trying to hang BJP flags on a piece of land near a market when the attack took place. A group of Congress workers led by Ramesh Kumar Sahoo protested their act due to which a scuffle erupted between the two sides. 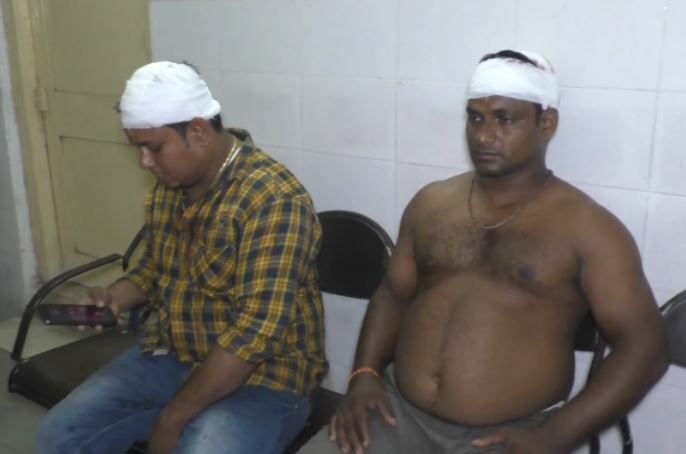 “Ramesh accompanied by his son Rakesh Kumar Sahoo and Ashok Mohanty, Kailash Sahoo, and Nagendra Sahoo attacked us mercilessly with iron rods after issuing warnings to not hang BJP flags in the area. We have lodged a case in the incident,” informed Binod, one of the injured. However, Prakash Chandra Pal, Jagatsinghpur SDPO has dubbed the incident to be fallout of past enmity between two families over land dispute and not a political violence. “Investigation is underway in the case and the accused would be nabbed soon,” added the SDPO.